If you're a fan of picture blogs then Bertrand 'ElkY' Grospellier has just updated his little corner of the internet with a rundown of his recent travels. Despite travelling the globe virtually 365 days a year, Grospellier's latest blog explains how he managed to spend an entire month in the same time zone when he went home to France. For us mere mortals that doesn't seem like much of a feat but for ElkY it's certainly something of note. Since the turn of the year ElkY has also turned a year older and to celebrate his 33rd birthday the Frenchman hired out Le Pre Catelan (a swanky French restaurant) in Paris for his friends and family. Nestled in amongst the photographic timeline, ElkY also explains that he is giving away a free Sunday Million ticket to one lucky Instagram follower. 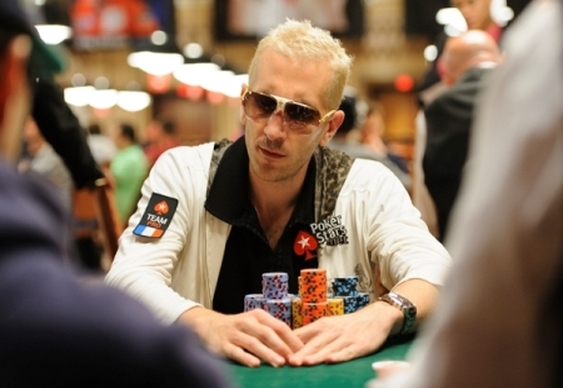 In a bid to get his account up to 3,300 followers, the PokerStars pro is asking people to repost his birthday picture with the hash tags: #ELKY #ELKY33BDAY. Once his fan base reaches 3,300 he will pick a random user and buy them into the Sunday Million. If you're a fan of more pictures than words, then ElkY's latest post is certainly worth a browse.